A Piece of Film History. 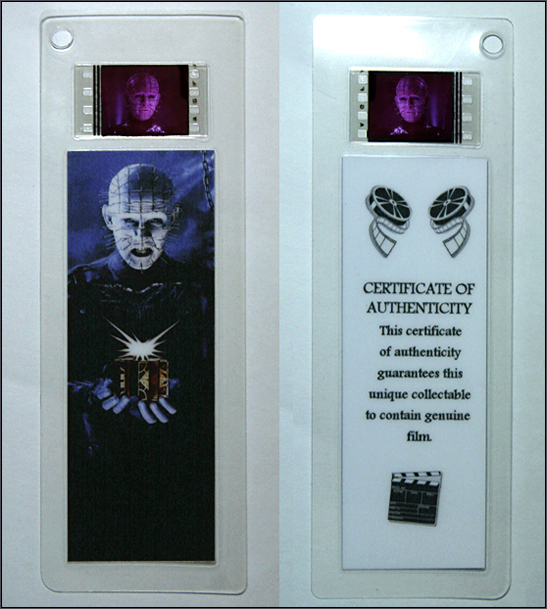 Own a piece of film history with a film cell bookmark. 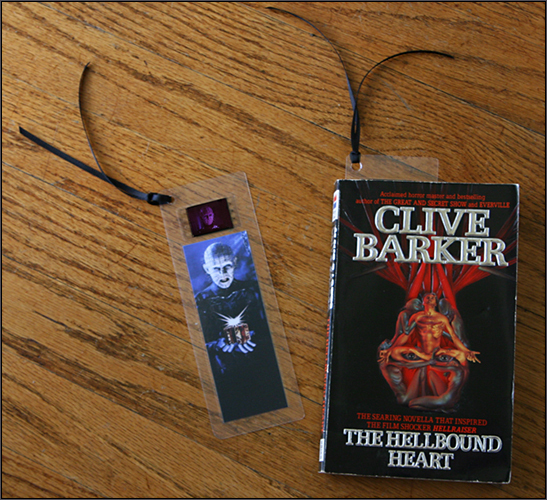 Each bookmark is made with a piece of film cell from trailers, not he actual movie, so fear not, the movie is not going anywhere. Old film trailers never die, they just get turned into bookmarks. 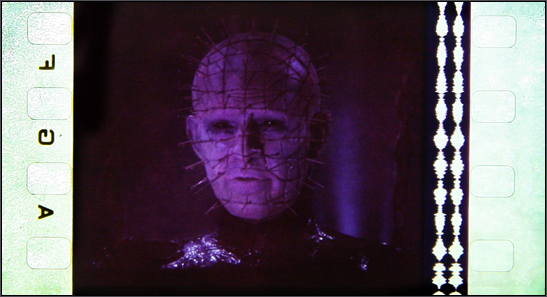 Display your Hellraiser Puzzle Box with this simple yet effective stand. This stand also works well for boxes displayed under glass domes. They come in Black and Clear.